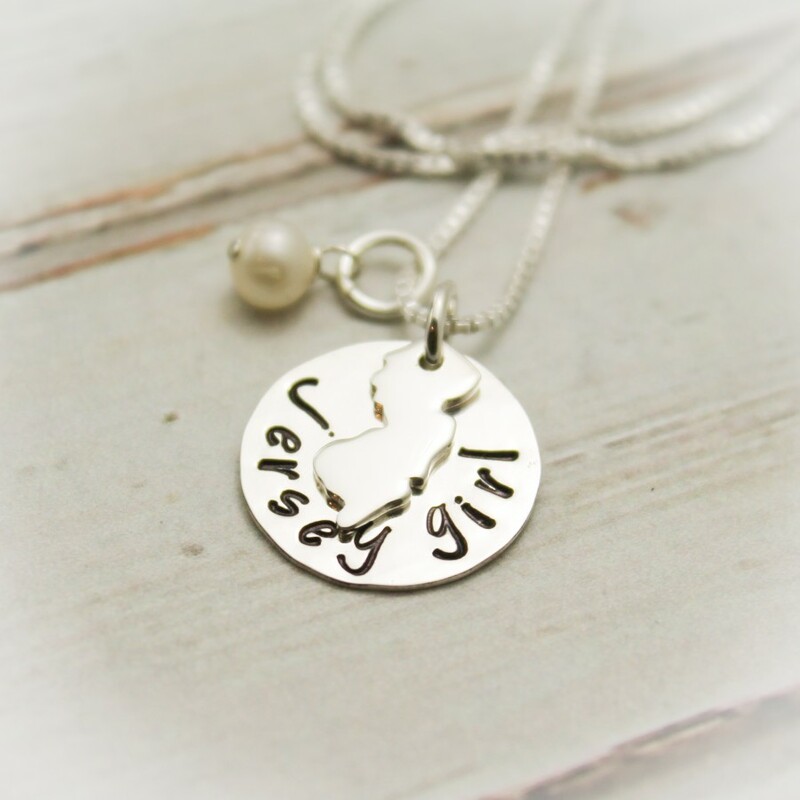 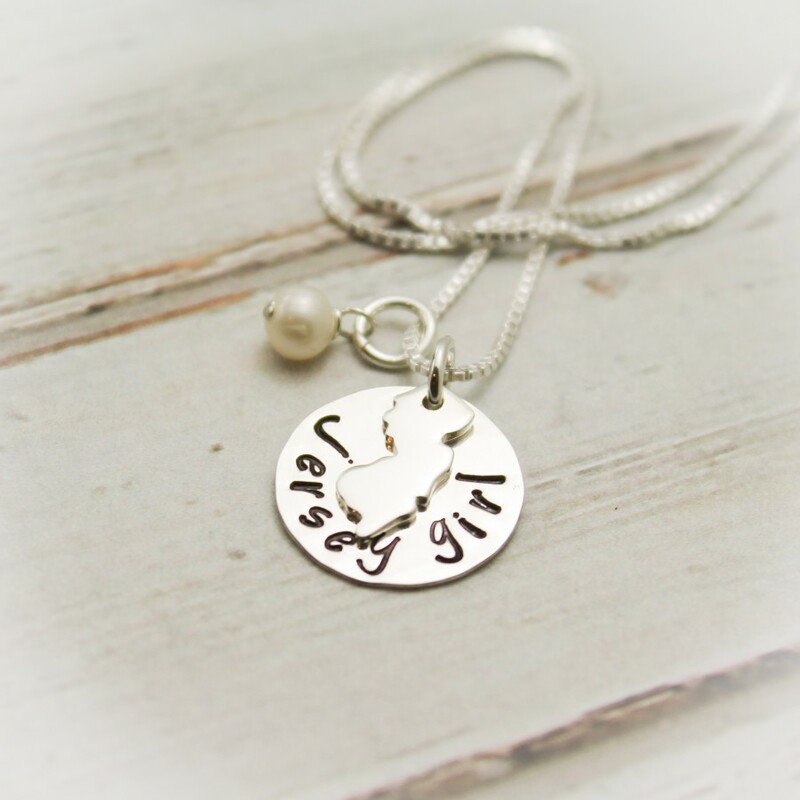 Round 5/8 inch sterling silver hammered disc, hand stamped along bottom edge with "jersey girl" or the name or words of your choice (12 max). 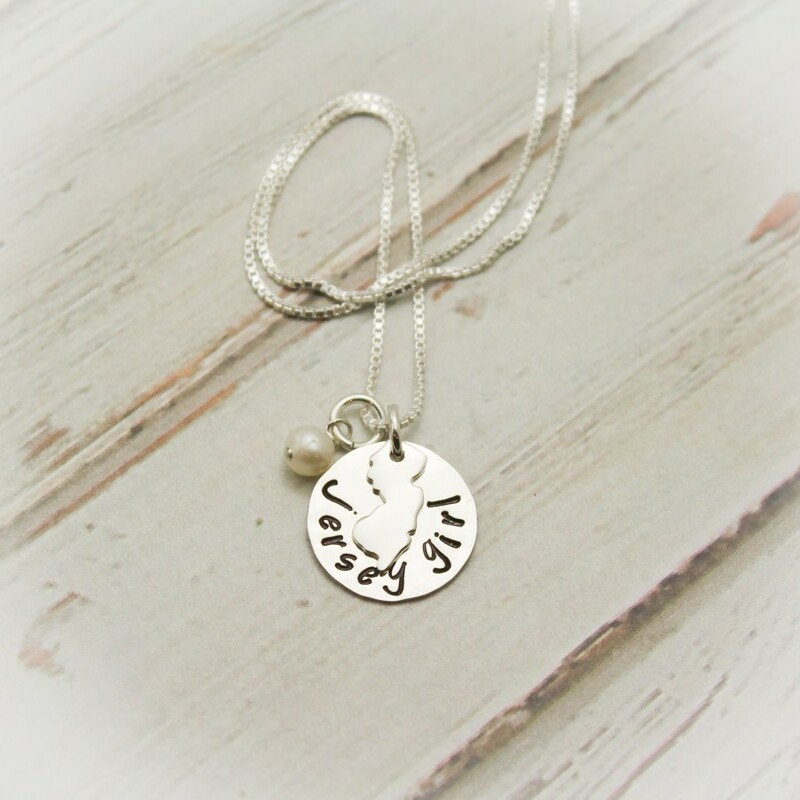 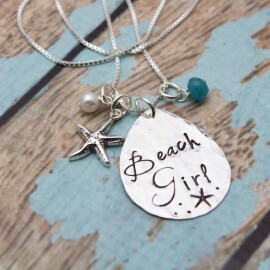 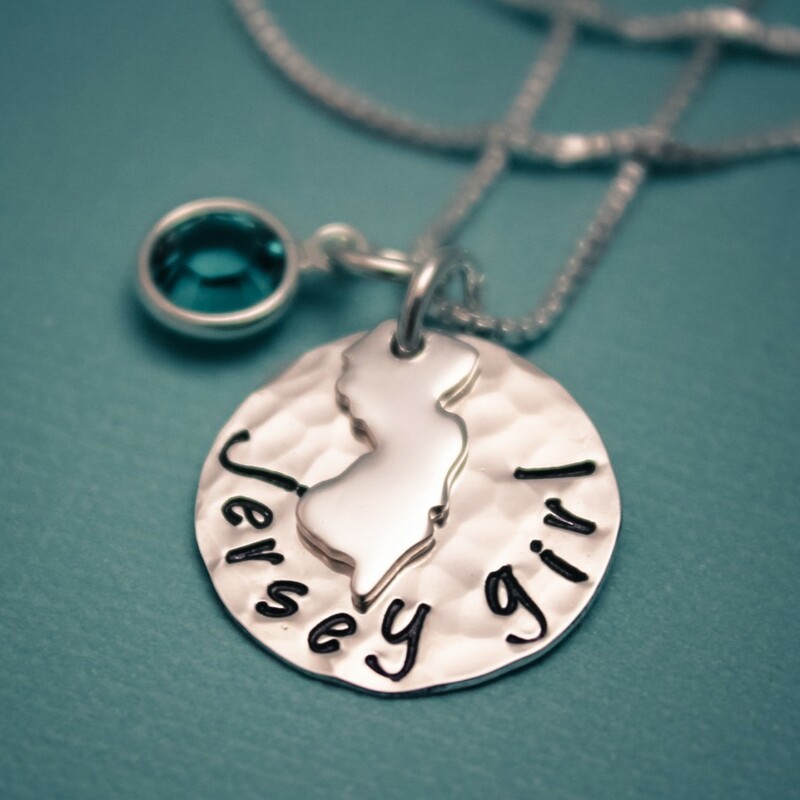 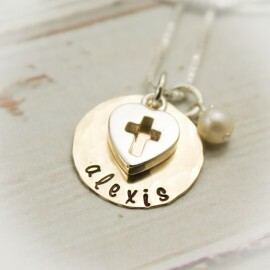 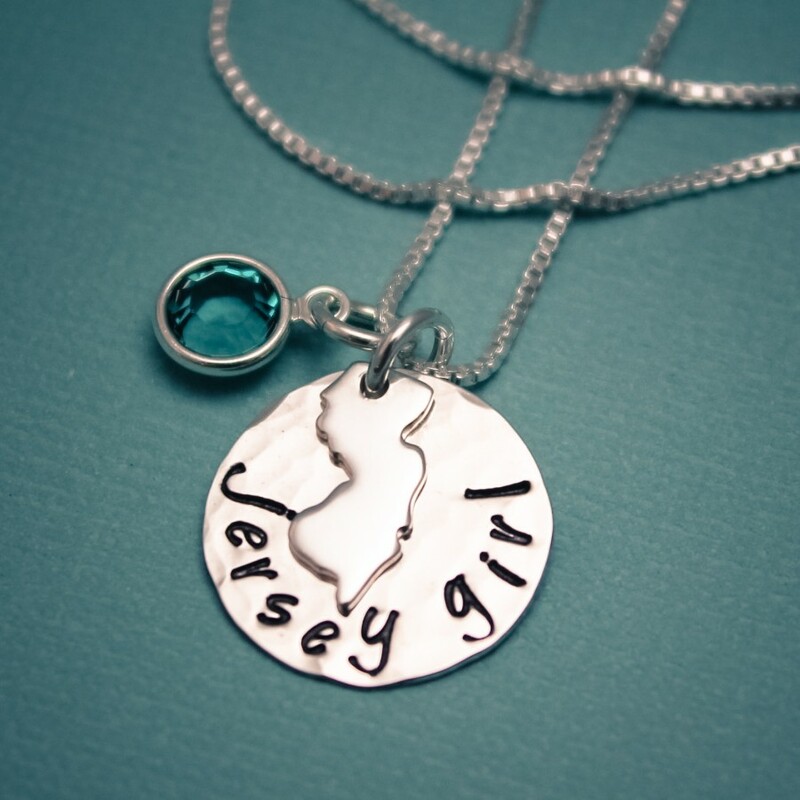 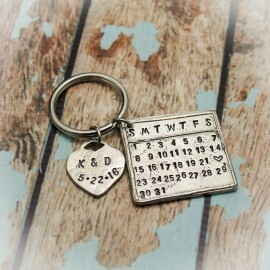 Layered over the disc is a sterling silver cut out charm of New Jersey. 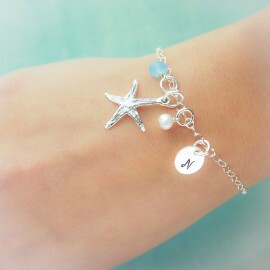 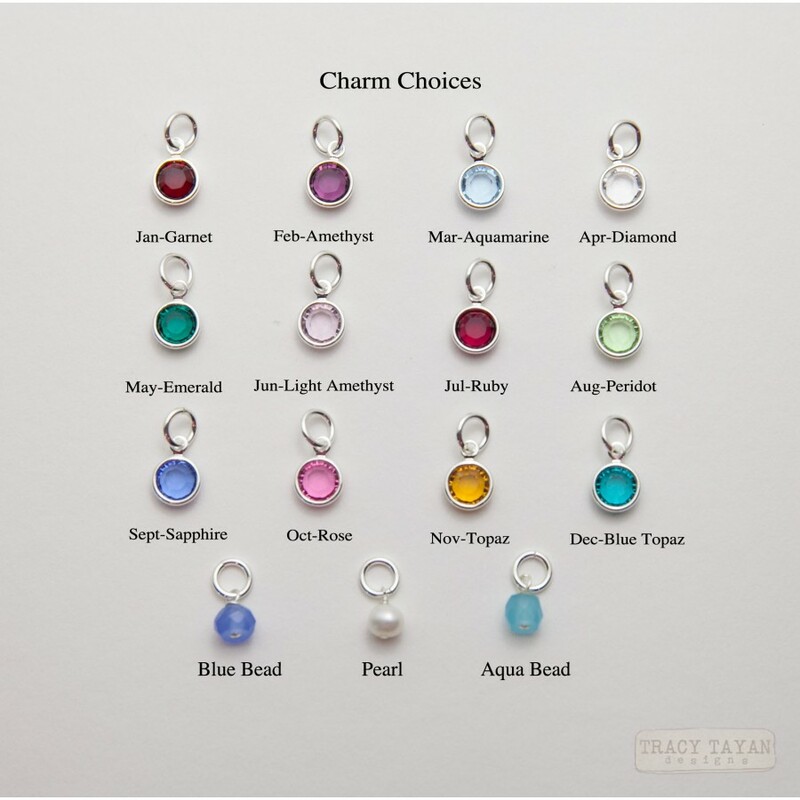 A pearl or birthstone crystal dangles along side on a sterling silver chain in the length and style of your choice.